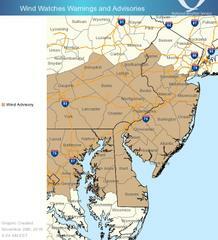 The National Weather Service forecasts it will be very windy today with gusts of 50 mph expected. Be Safe out there! Gusty winds expected today. Please secure loose items in your yard that could become dangerous projectiles or could be blown into the roadway causing a traffic hazard. Be Safe out there!